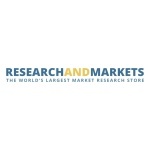 DUBLIN–(BUSINESS WIRE)–The “Telecommunications Labor Market Review: Canada” report has been added to ResearchAndMarkets.com’s offering. Operators in Canada are pursuing a wide range of business strategies as they look to reduce one of their largest overhead costs, i.e. the workforce. Apart from using automation and digitalisation to cut costs, telcos are also relying on voluntary separation programs (VSPs) to reduce these costs. A case in point is Shaw, which offered a VSP in early 2018, as part of its broader initiative to cut staff costs amid technological changes. TNOs are also reshaping their workforces to prepare for new technologies like 5G. While 5G is at an early stage in Canada, lots of new 5G-related jobs are expected to appear, from deployment to testing and applications. However, total headcount for the telecom sector fell YoY by 1.3% to reach 163K in 3Q18. Canada’s telcos are slowly scaling down their network departments and pushing hard on unions for concessions. That is likely to lead to additional M&A. Telco revenue was up by a 6.6% annualized rate in 3Q18, while capex grew 9%. Early 5G buildouts were a major reason for growth. Labor costs for telcos in Canada are in the 23%-24% range of total opex, or around 30% of opex (excluding D&A). The average labor cost per employees in Canada was $54.7K in 2017, marginally higher than the global average of $54.3K.